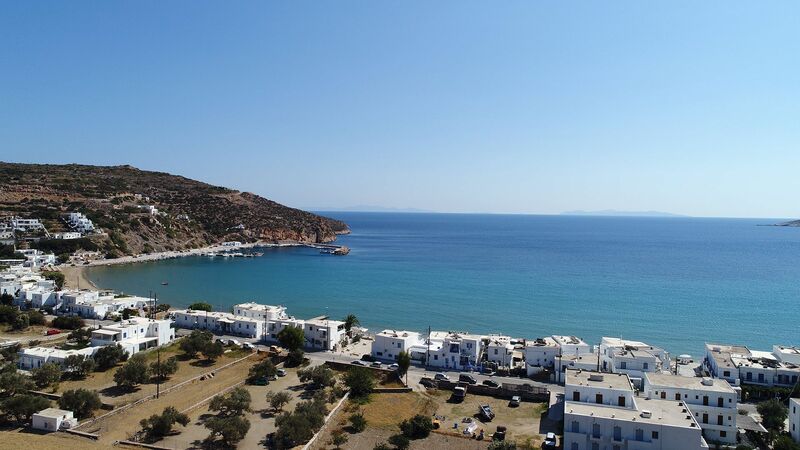 Moschoula Pension is located in Platis Gialos, 10 meters from the sea. It is located in the middle of the village’s beach. 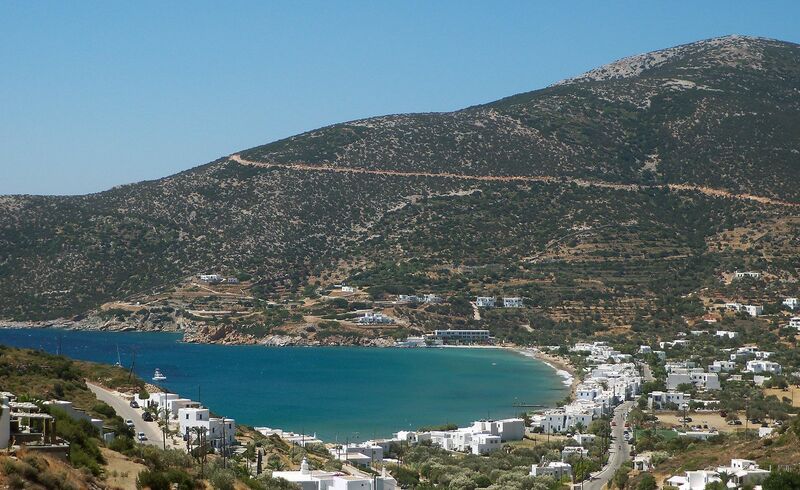 The area's name, "Platis Gialos", means "Large Beach". 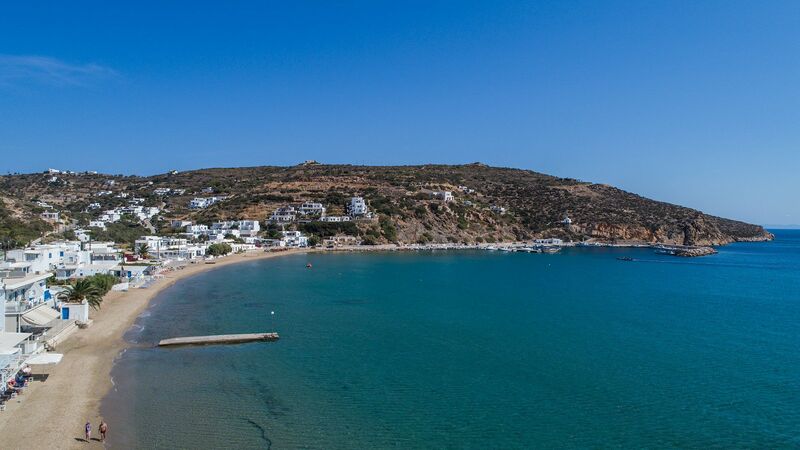 The beach of Platis Gialos is being awarded the European Union’s Blue Flag for the last years. At the left side of the beach there is a fully equipped marina, with available spaces for visitors. Here, at the marina, great cultural events are organized every summer (concerts, theatrical shows etc.). 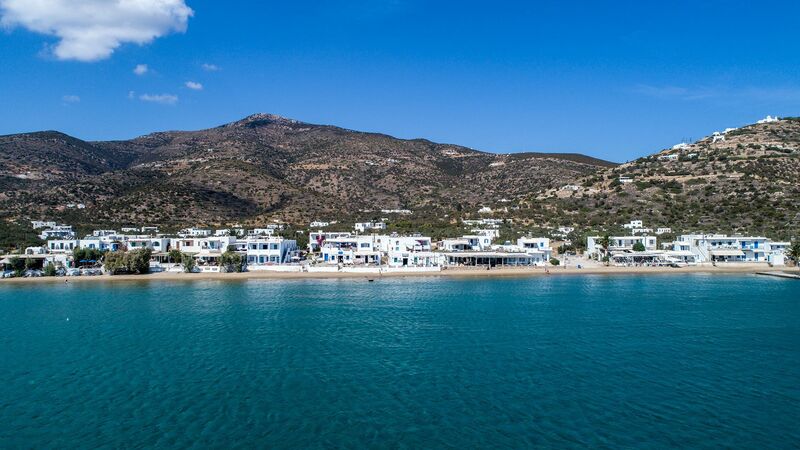 In the village there are restaurants serving exquisite food, taverns serving traditional Sifnian dishes, café-bars by the sea, where you can enjoy your breakfast or your drink till the small hours of the morning, pottery workshops, bakeries, mini markets and other stores. Near Moschoula Pension there is a free municipal parking lot and a bus stop. On the map on the right side of this page, you can see the exact location of the unit.